The Ministry of Public Service under section 7 of the Public Service Act, 2008 is mandated to have authority for the overall administration of the Public Service including receiving and considering on behalf of Government, proposals for remuneration and benefits for persons whose emoluments are payable from the consolidated fund. 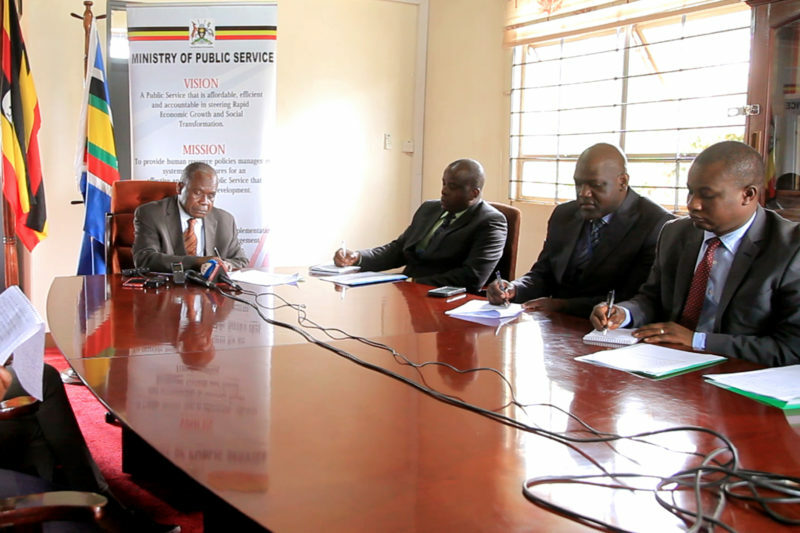 In addition, under Section 2 of the Pensions Act, cap 286, Ministry of Public Service is the Pensions Authority. Within this purview, the Ministry plays an oversight role and gives policy direction on the budgeting and management of salary, pension and gratuity in the Public Service. As part of the Public Service Reform Programme (PSRP), the Ministry engendered salary and pension reforms that aimed at improving the welfare of the serving and retired Public Officers. 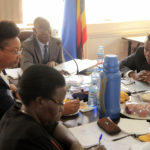 The achievements of the reforms were registered in a number of arrears notably; relatively improved pay levels in the Public Service, payment of salary and pension by the 28th of the month, computerization of the salary and pension processing and payment, and strengthened establishment control to mention but a few, through the Integrated Personnel and Payroll System (IPPS). IPPS is a computerized Human Resource Management Information System through which salary and pension in the Public Service are processed. From IPPS, salary and pension payrolls are sent to the Integrated Financial Management System (IFMS) through an interface. IFMS is domiciled in Ministry of Finance, Planning and Economic Development. Salary administration comprising budgeting for wage; payroll processing on IPPS; and payment on IFMS is decentralized to Ministries, Departments, Agencies and Local Governments. The Ministries of Public Service and Finance, Planning and Economic Development provide oversight and guidance along their respective mandates. Decentralization has promoted transparency and ownership of payroll records by Ministries, Departments, Agencies and Local Governments. i) Biometric Validation of Public Officers and matching their particulars on IPPS with the National Identification Register. 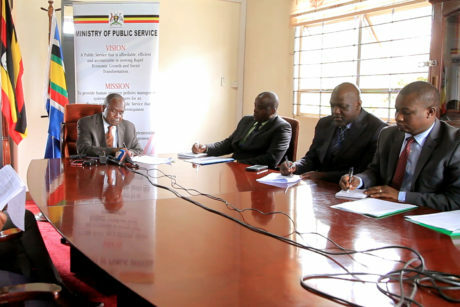 A total of 2,477 Public Officers comprising people whose names did not match and those who did not turn up for validation were removed from the salary payroll and forwarded to the Inspectorate of Government for investigation. This brought efficiency gains of Ugx. 24,604,145,519/= (Twenty four billion six hundred four million one hundred forty five thousand five hundred nineteen shillings) in FY 2017/18. ii) Payment of salary by the 28th of every month. iii) Monitoring implementation of structures of Public Service organizations and establishment control. iv) Continuous monitoring of the payroll and wage bill of Government. v) Access to and retrieval of electronic documents of Public Officers and pensioners on Electronic Document Management System (EMDS) through a link on IPPS. Payment of pension, gratuity and arrears to Ministries, Departments and Local Governments is also decentralized. The budgeting for pension, gratuity and arrears are a function of the respective Government Entity where an officer retired. Funds for payment thereof are sent directly to the Ministries, Departments and Local Governments. The processing and payment of UPDF pension and gratuity is currently fully decentralized. Like salary, pension and gratuity are processed through IPPS. The pension payroll is linked to the employment records. This has enhanced controls in the pension processing. Other hitherto requirements for processing pension such as verification of teachers’ registration after retirement, submission of multiple forms and documents whose copies can be obtained from the personal files of the retiring employee have been eliminated effective October 2018. Generally, salary, pension and gratuity processing and payments have been stabilized in terms of regularity of pay, improved accuracy of payroll records, shorter business process for pension and gratuity and payment of salary and pension by 28th of the month. 1. There was remarkable delay by Local Governments to pay salary and pension in the month of July 2018 due to the roll-out of Programme Budgeting System (PBS) across all Local Governments (MDAs and LGs). PBS is a Government budgeting system being implemented by Ministry of Finance, Planning and Economic Development (MoFPED). The roll-out and acclimatization of the new system by Responsible Officers in MDAs and LGs delayed loading of budgets for Quarter one FY 2018/19 on the Integrated Financial Management System (IFMS) by the affected Votes. Subsequently, a number of Public Officers did not receive salary and pension for July 2018 in time. Most of the Local Government effected payment of July salary in August. By September 2018, the situation had normalized. 2. Yet again, Government implemented another reform of migrating 59 Local Governments initially on IFMS Tier 2 domiciled in Ministry of Local Government to IFMS Tier 1 in MoFPED with effect from 1st July 2018. The migration is intended to improve controls in financial management. This occasioned a number of changes and updates in systems that interface with IFMS, notably the Integrated Personnel and Payroll System (IPPS), to be able to accommodate adjustments in the new business processes for the migrated LGs. Employee records that were migrated from IFMS Tier 2 did not have valid Supplier Numbers and the corresponding Tax Identification Numbers required for any payment to be effected on IFMS Tier 1. It therefore follows that, the affected Public Officers had to be issued new Supplier Numbers and TINs on IFMS that subsequently had to be updated on Integrated Personnel and Payroll System (IPPS) to enable successful processing and payment of salary, pension and gratuity. The process of obtaining and updating the supplier numbers for the affected Public Officers is still on-going. A total of 12,723 Public Officer Still lack updated supplier numbers and TINS and by implication are not receiving their payments. 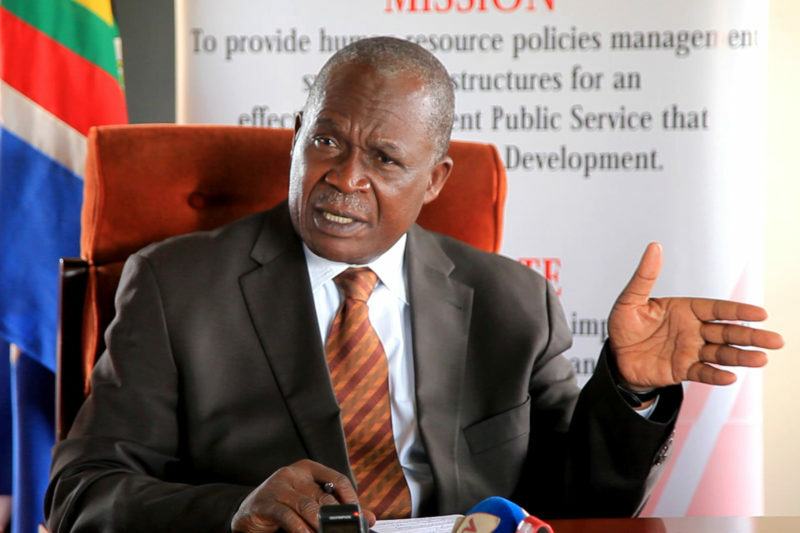 My Ministry jointly, with Ministry of Finance, Planning and Economic Development, have engaged Uganda Revenue Authority to facilitate expeditious processing of Tax Identification Numbers for Public Officers who may not have up-to-date TINs. Chief Administrative Officers and Town Clerks have been urged to facilitate this process by informing staff of the urgency to register for Tax Identification Numbers in order to access the IFMS system. a) Automated allocation and update of employee supplier numbers and employee number on either system between IPPS and IFMS, a process that will quicken access on payroll and eradicate employee drop-offs from the payroll. b) Online biometric validation of Public Officers through IPPS/NID interface which will eliminate accessing ghost employees on payroll. 4. Introduction of a contributory pension scheme in the Public Service to address issues of affordability, sustainability, poor governance, accountability and timeliness of pension and gratuity payment. The Bill has already been drafted awaiting approval by Cabinet and eventual enactment into law planned by July 2019. 5. 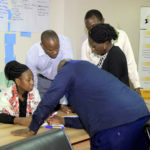 Intensified, regular and strengthened technical and functional support to MDAs on payroll and pension processing as well as EDMS functionality on site and regional centres located in Mbale, Soroti, Arua, Gulu, Mbarara, Bushenyi, Jinja, Mbarara, Kampala and Hoima for votes without IPPS on site.